Post Malone poses in the press room at the 2018 MTV Video Music Awards Press Room at Radio City Music Hall on August 20, 2018 in New York City. Update 8/21/18, 3:55 p.m. 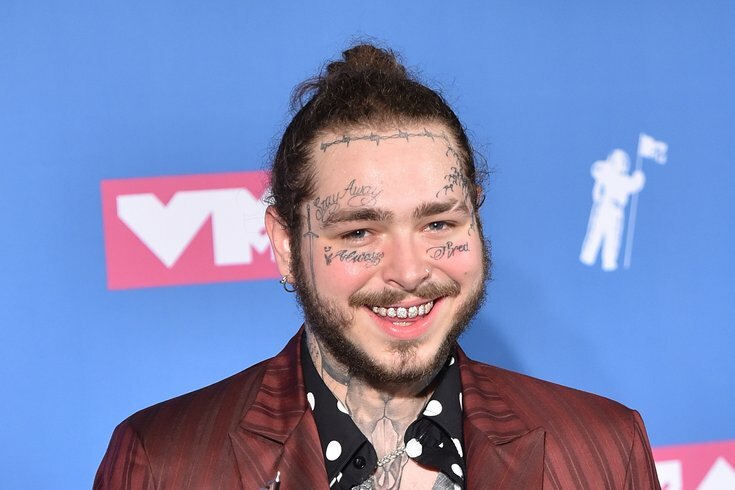 ET: A plane carrying rapper Post Malone and 15 others has landed safely after its takeoff from a New Jersey airport blew out two of the plane’s tires, according to TMZ. The private plane left from Teterboro Airport, an hour north of Trenton. Keep scrolling to watch CBS New York's live stream video from Stewart International Airport in New Windsor, New York, as the plane prepared to land. TMZ reports that the pilot of the plane contacted air traffic control promptly after takeoff about the lost tires, and requested permission to circle above the airport. Air traffic control reportedly directed the pilot to fly to Massachusetts to burn more fuel, in case the plane makes a crash landing. The plane, a Gulfstream IV, reportedly had 3,700 gallons of fuel onboard upon takeoff. That’s quite a bit of fuel to burn. This is a developing story. We will update this article with more information when it becomes available.